The tournament will be held in the gorgeous vacation state of Rhode Island. 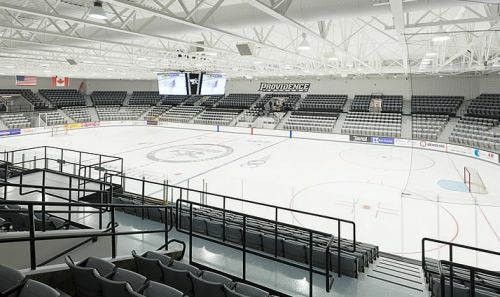 The tournament will be hosted at 10 of the most prestigious hockey rinks around the state of Rhode Island, including NCAA Division 1: Providence College! Lobsterfest will host 120 teams ranging from Mites to Midgets. Mites will also play on 3/4 ice! Games will start at 11am on Friday morning! Sign up to join the largest off-season tournament in North America, today! We look forward to hosting YOUR team in the Ocean State in May, for a weekend of hockey to remember! By selecting the button, I agree to the following terms: I hereby release the Northern Vermont Wildcats, Ocean State Lobsterfest, Anthony Langevin Hockey LLC, and all staff from any responsibility or liability for any injury suffered by the applicant during participation at the Ocean State Lobsterfest. In addition, no refunds will be given to any team.